The creative spark that turned into Blue Sky Riders was struck as two veteran singer/songwriters worked on their first song together. Loggins, one of the premiere voices in modern popular music, called Burr, one of Nashville’s most accomplished writers, afterward and asked if he’d like to form a band. Then he suggested they look for a third, female voice. “I’ve got the perfect person,” said Burr. “Georgia Middleman. She’s the best I’ve ever worked with.” Loggins flew to Nashville and the three sat down to write. “I’m definitely looking bliss in the eye right now,” she says. For Loggins, Blue Sky Riders is a new creative step forward in a career filled with magic moments. His hits, early on as half of Loggins and Messina and then as a solo artist, include “Danny’s Song,” “House at Pooh Corner,” “Your Mama Don’t Dance,” “Angry Eyes,” “Whenever I Call You Friend” (with Stevie Nicks) and “This Is It,” a series of movie theme songs, including “I’m Alright” (Caddyshack), “Footloose” (Footloose), “Danger Zone” (Top Gun), and “Nobody’s Fool” (Caddyshack II), and later AC smashes including “Conviction of the Heart,” “The Real Thing,” “If You Believe” and “For the First Time.” His songs have been covered by artists including Barbra Streisand, Lynn Anderson, Anne Murray and the Nitty Gritty Dirt Band. Loggins and Michael McDonald co-wrote “What A Fool Believes,” which received a Grammy for Song of the Year, and “This Is It,” which earned Loggins a Grammy for Best Male Pop Vocal. Burr has been named Songwriter of the Year by ASCAP, Billboard and NSAI. 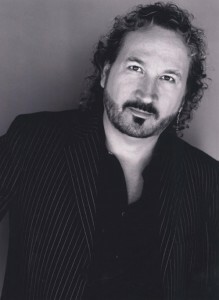 His hits include Juice Newton’s “Love’s Been a Little Bit Hard on Me,” Conway Twitty’s “That’s My Job” and Wynonna’s “To Be Loved By You,” and his songs have been covered by LeAnn Rimes, Faith Hill, Randy Travis, Reba McEntire, George Jones, Garth Brooks, Ricky Skaggs and Lynyrd Skynyrd, among many others. He has written and performed with Ringo Starr, had a worldwide hit with the Ricky Martin/Christina Aguilera smash “Nobody Wants to be Lonely,” and topped the charts with Kelly Clarkson’s “Before Your Love” and Clay Aiken’s “This is the Night.” He has toured with Carole King and produced Olivia Newton John, and early in his career spent three years as lead singer of Pure Prairie League. Middleman was still a teenager when she began opening for artists like Willie Nelson and Merle Haggard. Drawn to Nashville’s creative energy, she quickly landed a publishing deal with Polygram and released the well-received Endless Possibiities on Giant Records. She wrote Keith Urban’s 2010 chart-topper “I’m In,” and singles including Tracy Lawrence’s “It’s All How You Look At It” and Sarah Buxton’s “Innocence.” Her songs have been recorded by Faith Hill, Martina McBride, Reba McEntire, Terri Clark, Mark Chesnutt and Joe Nichols, among many others. She has toured with Radney Foster and sung backup for Jack Ingram, Marty Raybon, the Warren Brothers and many other Nashville artists. 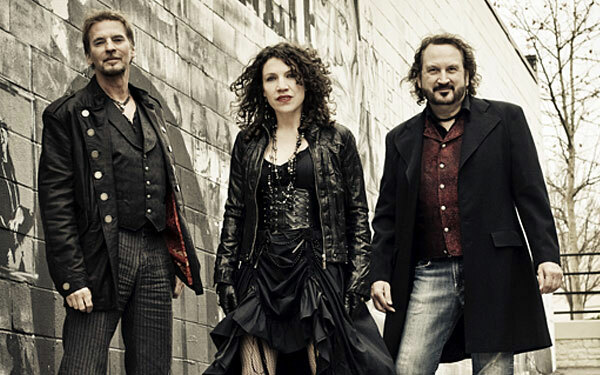 Blue Sky Riders released their debut album, Finally Home, on their own record label, 3Dream Records on January 29, 2013. A limited edition pressing of the band’s highly anticipated sophomore album, Why Not, is available at blueskyridersband.com. One of Nashville’s most accomplished singer/songwriters, she has had songs recorded by Faith Hill, Martina McBride, Reba McEntire, Terri Clark, Joe Nichols and Tracy Lawrence, among many others. In 2010, Keith Urban took “I’m In,” which she co-wrote with Radney Foster, to the top of the country charts in 2010. Those who have seen her live, though, can attest that there is real magic in her own renditions of her songs as, she wraps one of music’s most expressive voices around lovingly crafted glimpses into life and love at their most compelling. She earned a publishing deal with Polygram and then a record deal with Giant Records. Her solo records include Endless Possibilites on Giant and the independent Unchanged and Things I Didn’t Know I Knew. From his first pop hit, “Love’s Been a Little Bit Hard On Me” by Juice Newton in the early 80’s, to his recent induction into the Nashville Songwriter’s Hall of Fame, Gary Burr has been one of the most successful and honored songwriters in history. 33 top forty hits, 24 top tens, 14 number ones, Gary’s career has spanned pop, country… even Latin hits such as Ricky Martin and Christina Aguilera’s smash duet “Nobody Wants To Be Lonely.” He has been honored with Songwriter of the Year awards by Billboard Magazine, ASCAP, and the Nashville Songwriter’s Association of America. One of the rare breed who writes hits alone as well as co-writing, Gary is a favorite collaborator of a collection of writing icons such as Carole King, Richard Marx, Don Schlitz, Victoria Shaw, Kenny Loggins … even Ringo Starr! Gary has topped the charts in three decades and his melodic command and lyrical mastery continue to amaze and touch the hearts of fans all over the world. Kenny Loggins has been many things to many people over the past three decades — “a moving target” as he’s put it. In his time, Loggins has been a guitar-slinger with a psychedelic rock band, a hot young songwriter with a publishing deal, half of a legendary country-rock duo, a massively successful and accomplished solo artist, a sonic pioneer in the smooth jazz genre, a reigning soundtrack superstar, a rocker, a seeker, as well as an enduring recording artist and live performer whose most recent works have spoken deeply to both young audiences and decidedly adult and worldly concerns. At the heart of it all, there remains a brilliant singer-songwriter and guitarist with a lifelong passion for exploring the endless power of the song to communicate. By any standard, Loggins’ commercial impact has been extraordinary; twelve of his albums have gone platinum and beyond. In a world of one hit wonders and fifteen minute sensations, Loggins has enjoyed hit songs in four straight decades — a remarkable testament to his exceptional craftsmanship and stamina. Yet the true measure of this man cannot be weighed in platinum and gold. Through it all, Kenny Loggins has earned the faith of those who’ve followed him along the way. 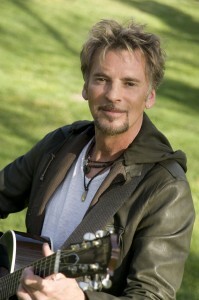 To this day, Loggins continues to write and record at the height of his powers as a singer and a songwriter. This is something that Loggins proves every time he takes the stage to sing his soulful songs straight from the heart. Loggins finds himself doing again what he has always done — writing and playing his songs, digging deep and looking toward the next step.